Posted by the Producer, Director and Editor Mac Weinstock on YouTube on November 3, 2014. We didn’t see this report elsewhere, so we felt it was important to share for its historical significance of our great city. 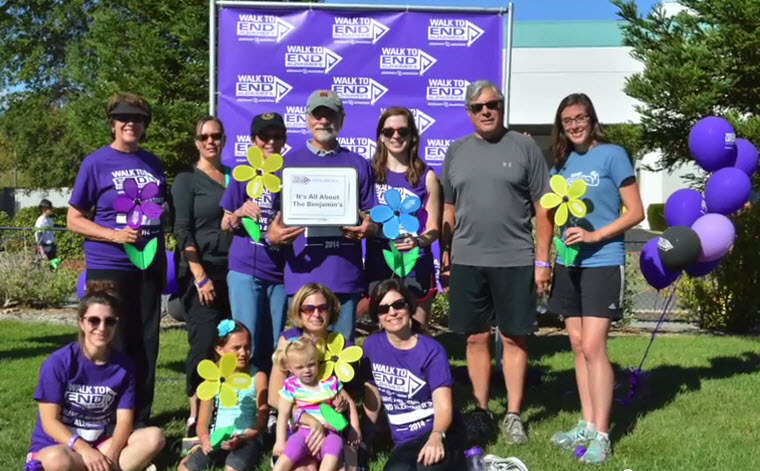 On October 23 the Jweekly.com wrote and article announcing the Jewish community of Petaluma celebrates 150 years by shoshana hebshi , j. correspondent. The congregation started in Petaluma in October 22, 1864, and they were incorporated as Congregation Society B’nai Israel by the state in 1871. During our famed “Egg Basket of the World” in 30’s and 40s thousands of chicken farmers were jewish farming families. More came from Russia after WWI in postwar years. 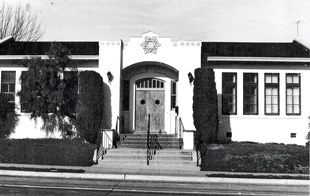 The Petaluma Jewish Community Center was dedicated on 740 Western Ave near the downtown in 1925. Previous reports on the first two pop-ups were excellent. Click here for a review on Chowhound posted by tom246. Trains were a big factor in our local economy and industry. 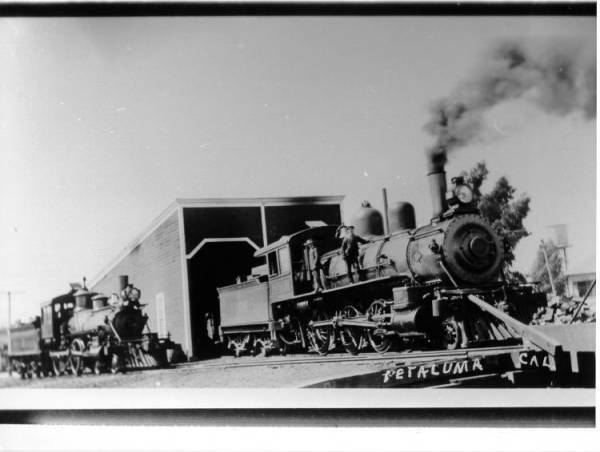 The fact that we have a Northwestern Pacific Railroad Museum and Historical Society is because Petaluma would not be the town that it is today without the rail system. Positively Petaluma did a little digging into the history and wanted to show you some vintage photos of the train history in Petaluma. 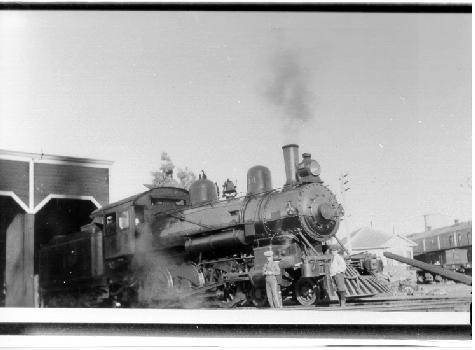 Here are some photographs we found in the Sonoma County Historical Archives. Our historical Petaluma Visitor Center and art center is the original train depot and in the past has served as the center of our city’s transportation since 1914. In 1991 it was featured in a made for TV Hitchcock thriller in 1991. Today it will become a depot for the new Sonoma Marin Rail Transit Commission (SMART) train system. 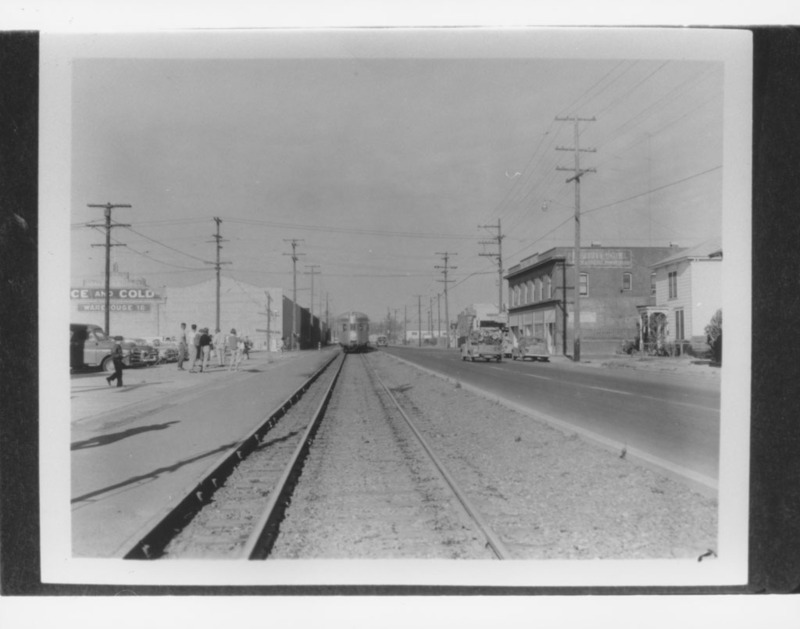 Here are historical photos of our Petaluma Depot. 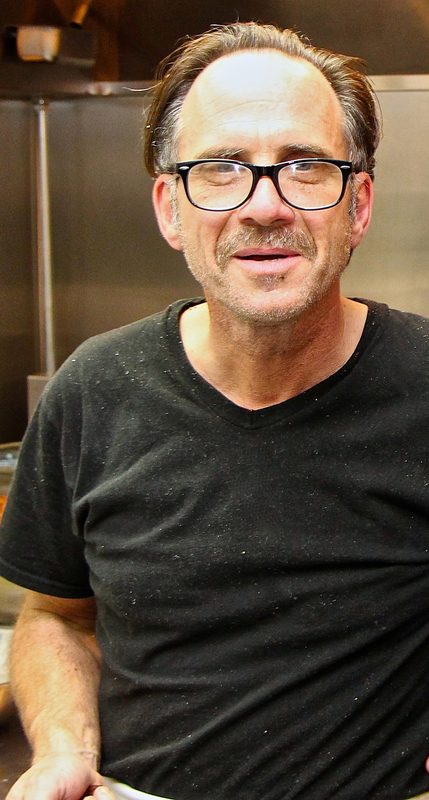 You may have seen some of the posts on James Mott and his memorial on October 23. This led me to do a little more research on him. 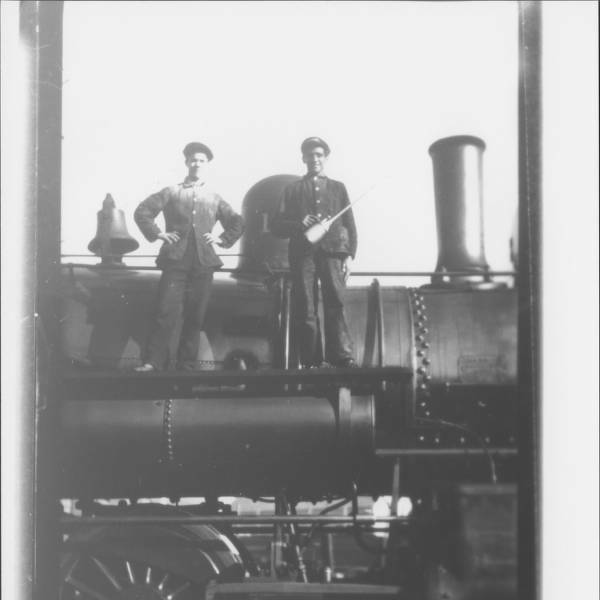 The first firefighter in Petaluma was 1873 but at that time there were no city employees and only volunteers. James Mott was the first paid Petaluma firefighter for our city starting 1807 and became a part of the YOUNG AMERICA ENGINE COMPANY NO. 3, PETALUMA FIRE DEPARTMENT. 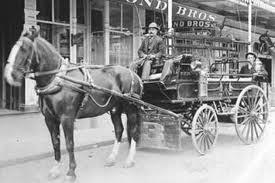 He was also the city jailer and ambulance driver well-known for his special bond with his horse Black Bart. He is also the first Petaluma firefighter making the ultimate sacrifice while fighting a fire in the downtown who lost his life in the line of duty in a vehicle explosion on October 20,1912. His life would end a few days later at the age of 57. You can click on the photo of the newspaper to read the article of the story in the San Francisco Call. I had not seen it mentioned anywhere else, but the Mayor of Petaluma, William H. Zartman, at that time also served as a volunteer firefighter and he was badly burned in this fire. Additionally a former Petaluma Fire Chief Henry J. Myers working as a volunteer had both ears burned off. The article indicates Mott inhaled flames from the fire. The force of the blast was taken directly by James Mott burning him severely. Despite being burned firefighter Mott assisted the injured bystanders to safety and helped extinguish the intense fire. 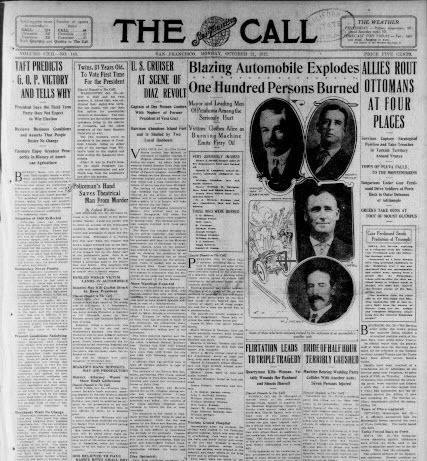 This newspaper reported that over 25 people were seriously burned as a result of this explosion and fire.